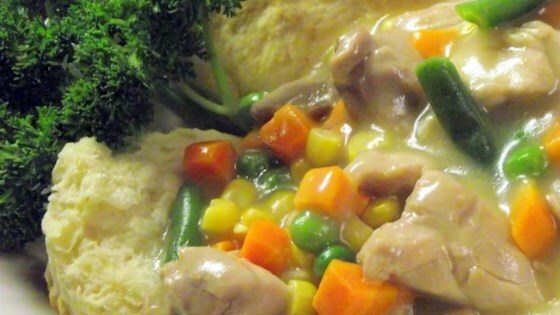 "This is a great meal for busy families! It's hearty and easy. Kids love it, too! Serve over split buttermilk biscuits." My family loved this I did put only 1 tsp pepper not the 1 TBS. Great flavor but WAY too salty! I would suggest using garlic powder instead of garlic salt and use low sodium bouillon. Other than that - great recipe! Served over home made biscuits - YUM!